Our 5 year old son, Cooper, has a heart condition and has spent some time at Primary Children’s Hospital. This hospital is wonderful! One thing that I love about it is every time he goes, they give him a little gift (blanket, stuffed animal, wooden train, etc..). We would love to give back to Primary Children’s by donating some hats. 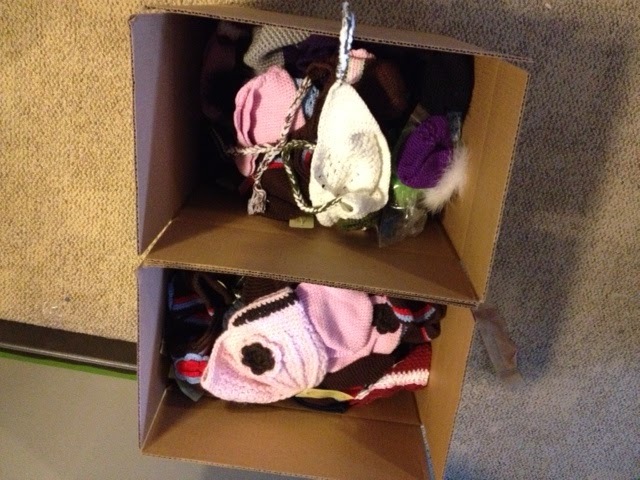 We are pleased to announce that this month we are sending them over 200 hats. Hopefully this can help make some of the children’s hospital experience a little brighter.